UP A MOUNTAIN, UP A VOLCANO | Riders Cycle Centre. Cycle repair and service workshop. 50+ 5Star Google reviews. Bicycle consultancy. Custom wheel & bike builder. Maintenance courses. Up a mountain and up a volcano. One sounds a little more daunting than the other but both made me feel on top of the world. 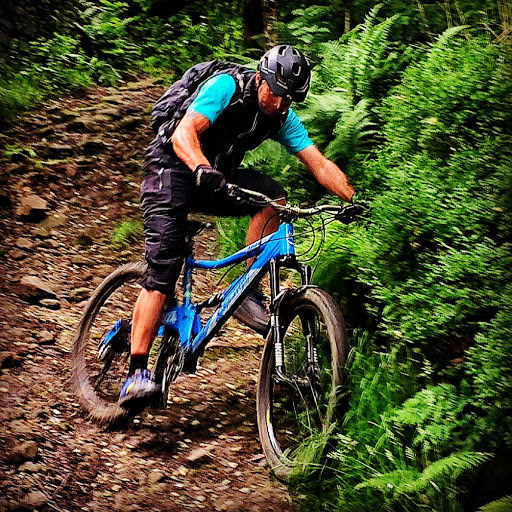 Back in July my micro adventure http://riderscyclecentre.com/?p=1696 took me to the summit of Mt Snowdon, a night under the stars and an early descent down the Rangers Path. It was a great opportunity to test my new MTB and to enjoy a solo 24hrs with the bike and beautiful views. Holiday time and I was off to Sicily with Jade and the girls. Our apartment graced us with the most magnificent view of Mt Etna and a chance to undertake a virgin ride. 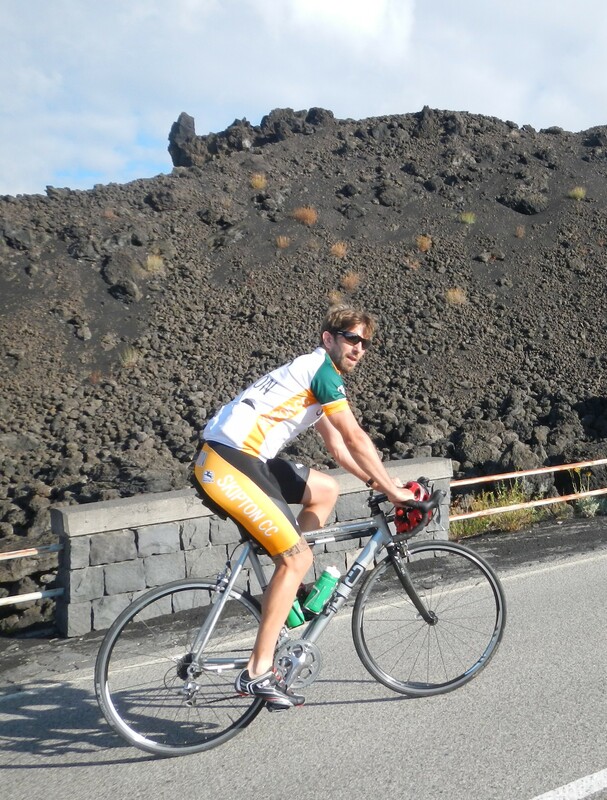 Jade and I rented some road bikes and we drove to Etna where we parked up and began our 4000ft ascent. 2 days later I set myself the challenge to ride from the apartment and to climb Etna from the East and a ride back (all before the hot Sicilian heat roasted me). 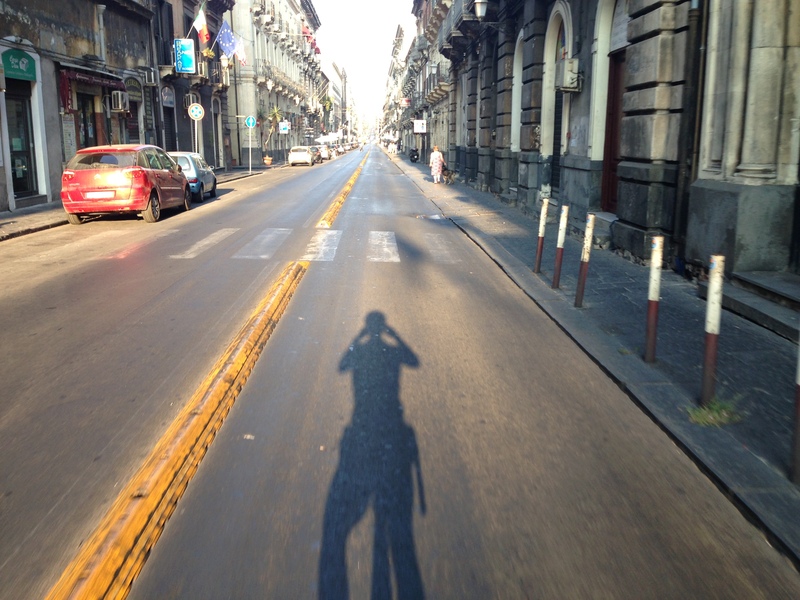 6am and I set off towards Catania. Bum bag attached containing essentials plus cold native leftover pizza. 20 miles of flat road gave me a chance to contemplate the climb ahead. I was winging it. I had a map, I had my phone and I had cash but no set-in-stone-plan. So it began. 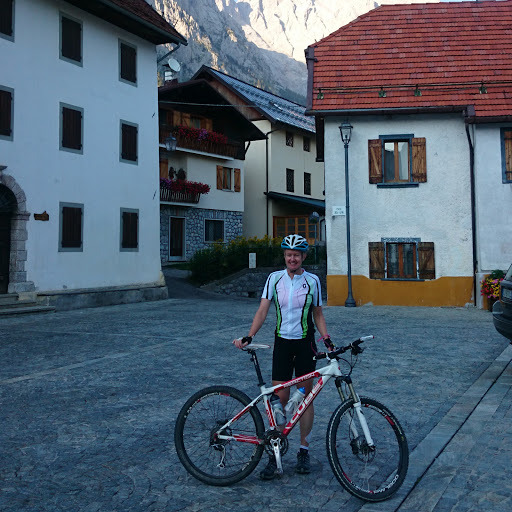 The longest climb I have ever undertaken, the most perversely enjoyable ride and a challenge I whole heartedly will never forget. Lets cut to the chase. It bloody hurt. It tested my resolve. The salty sweat stung my eyes. 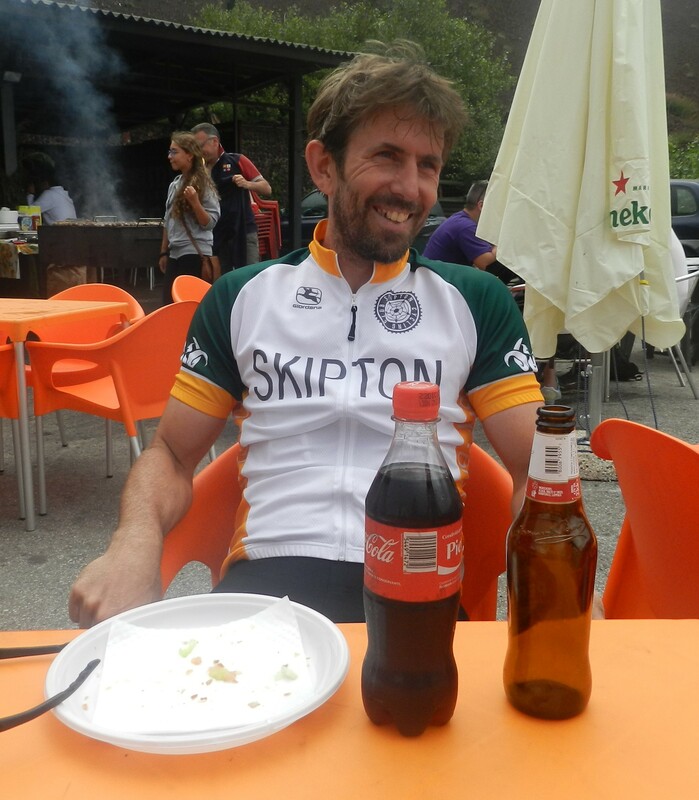 The unfamiliar riding position ached my overheating body and the sun hit me like a solar storm but once I crested the summit and tucked in to well deserved beer, coke and sausage sandwich I knew I could do that all over again (bravado). As all fellow cyclists know, where there is a climb there will be a descent and boy, this was a quick exit off the volcano. Flat out straights and hair raising hairpins. 80kph had me nervously covering the brakes as I bore down on the slower vehicles ahead. This was an enjoyable novelty, me overtaking traffic. The descent was all over to soon. The nerve raking ride through Catania with it’s one way boulevards yet again reminded me that maybe UK traffic is not all that bad. By now temperatures where in the high 30’s and the coastal road gave me no protection from the heat. I was soon joined by a local aboard his carbon electronic gorgeousness and we chain ganged towards my temporary home. BIG mistake. With 8000ft of climbing in me I only lasted a dozen rocket hot miles before we shook respectful hands and parted company with me leaking and dishevelled and he fresh and unruffled. What a day. Full to the brim with memorable moments and feelings.